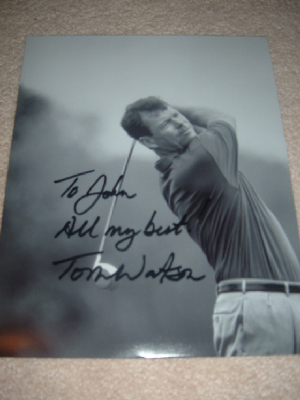 Tom Watson can be very nice and polite but he also can be very tough as well. 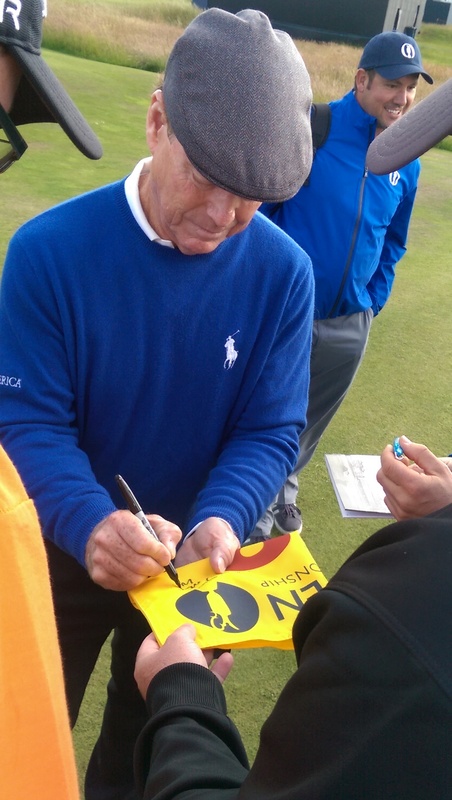 Once again he will not sign Masters Flags or Scorecards. 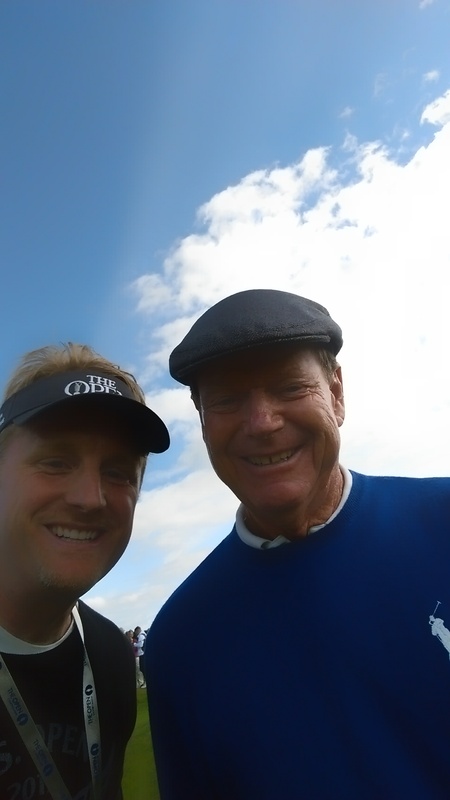 Most likely if you write him requesting a autograph you will get a autopened autograph. I see them up for sale all the time. 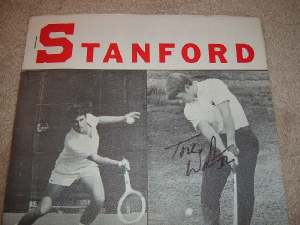 Real ones will mostly likely be personalized or at least have "All the Best" or something like that added to the autograph. 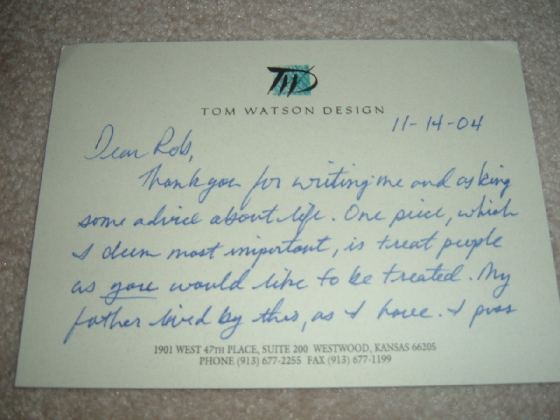 Autopens will just have Tom Watson written. 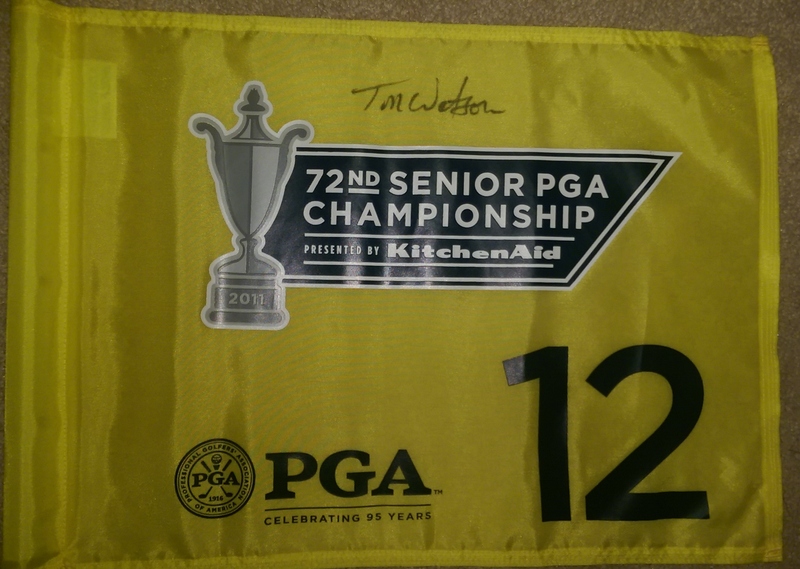 A tournament used Senior PGA flag used at the 2011 PGA at Valhalla where Tom Watson won. A nice item. 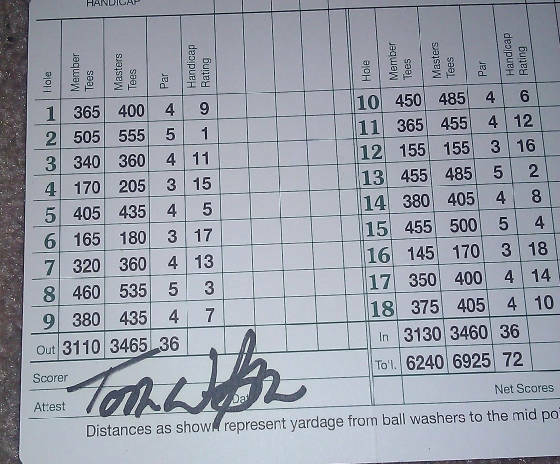 A watson sigend Augusta National Scorecard He will not sign these! 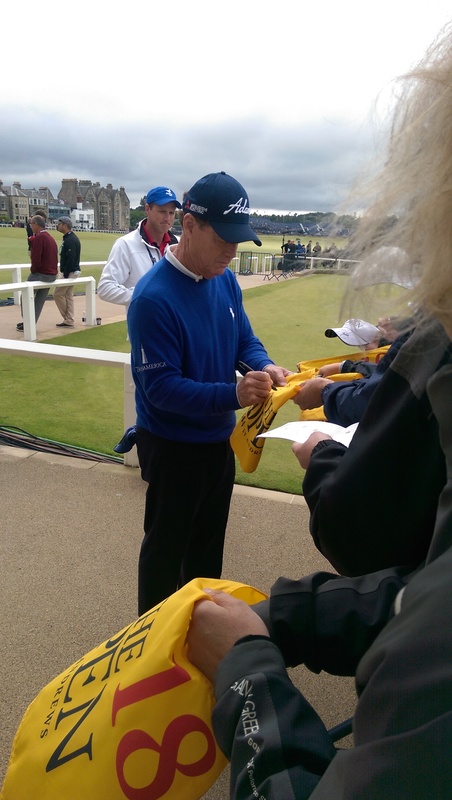 I had to add a few photos from the 2015 Open Championship where Tom Watson signed Open Championship flags. 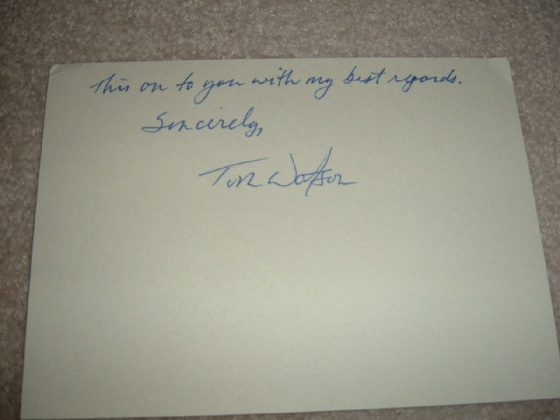 I have waited for years for him to sign them for me and he did! !